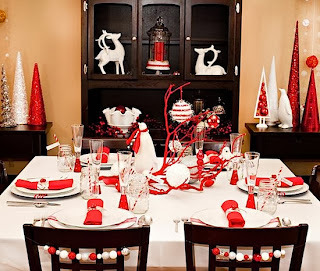 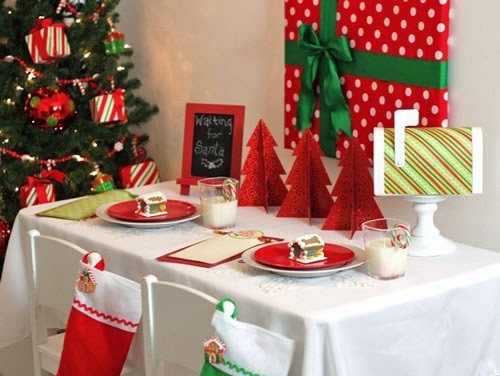 If you're planning a Christmas lunch or dinner, do not forget the small details will be the success of your meeting, here are some simple and easy ideas that can help you surprise everyone, decorated in red. 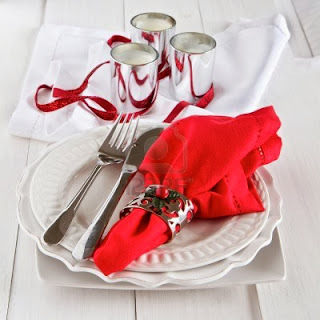 This is a good way to decorate your table with red napkins, have white and silver candleholder with red ribbons including dishes. 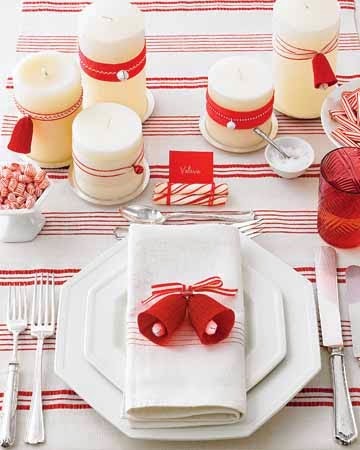 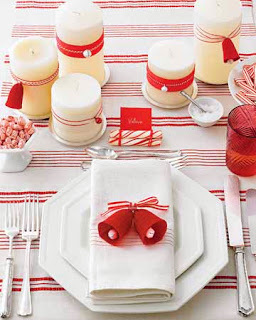 Delicately decorated with white tablecloth with red stripes and white candles with red ribbons. 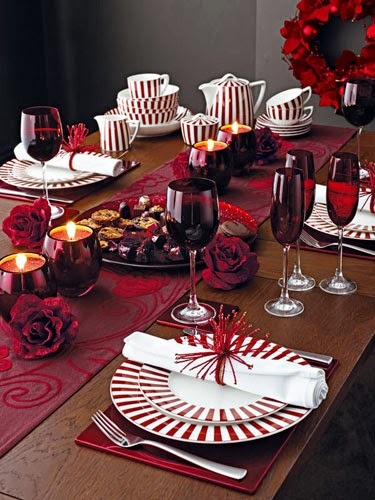 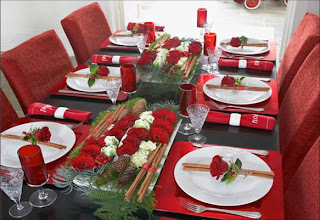 Elegant based dishes decorated with red over white round dishes, a rose and a half, arrangements with red flowers, white, pine cones, branches and slender trunks. 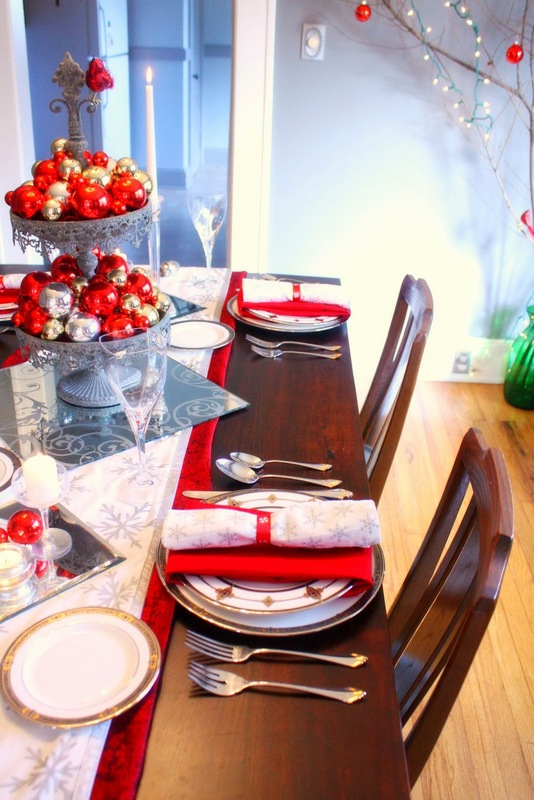 To give an original gift to your holiday table, you can place small red trees. 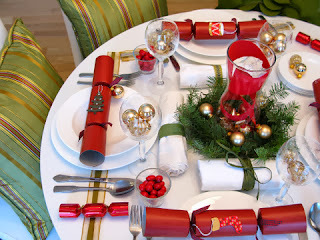 Here is a table with tablecloth and white plates, napkins and red top center table combines the colors green, gold and red. 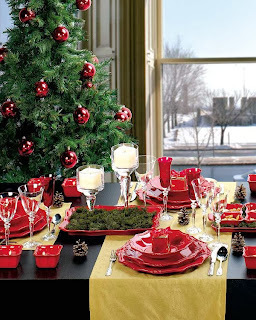 Again we have perfectly matched red plates with white candles into crystal chandeliers. Small details like arrangement with red branches and white spheres, placed in the middle, are all amazing. This is a more sober approach, we have a wood table with white with red stripes at the edges, glasses and garnets improve the color of these dishes. 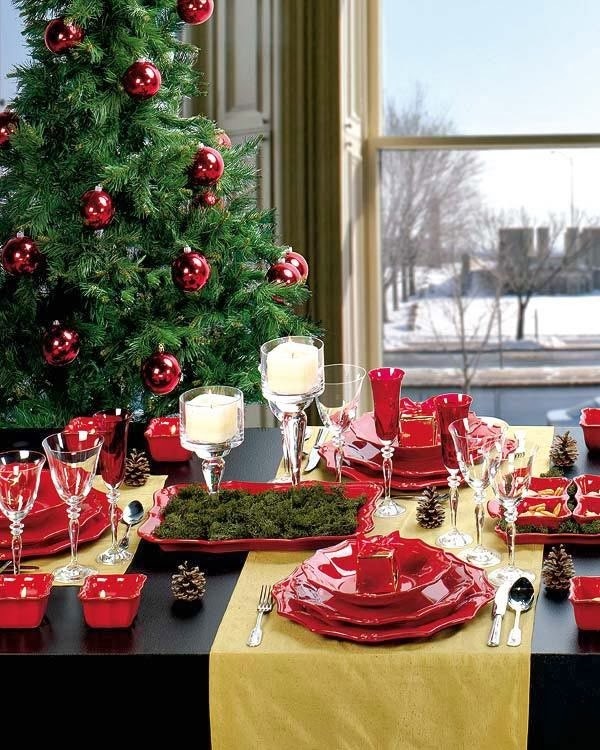 It also looks great a bowl with two or more levels with spheres, in this case, red, silver and gold.